For close to eight decades, Ray-Ban sunglasses have defined cool, making it an essential fashion accessory for rock stars, actors, A-list celebrities and the hip crowd. From Tokyo, Japan to London, UK, this designer eyewear brand is one of the all-time bestsellers in optical shops worldwide. Ray-Ban first made waves in 1937 when its sunglasses, which were initially designed for aircraft pilots, were released to the public. 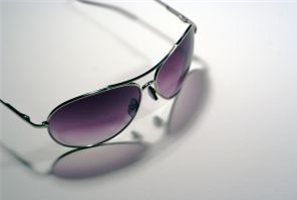 The original glasses, which helped protect pilots against glare, initially utilised plastic frames. They were then redesigned using metal frames and that is how the iconic Aviator was born. The success of the model was then followed by the release of the Shooter and the Outdoorsman models. During the forties, particularly during World War II, Ray-Ban further cemented its reputation among pilots, introducing several optical technology advancements that resulted in added eye protection and visual acuity. Post-war, the brand's following continued to expand as the world of fashion co-opted elements from the Army and the Navy. During the fifties, Ray-Ban helped redefine glamour. It was in 1952 that the brand released another iconic model, the Wayfarer, which became another instant hit among the fashion-forward set. 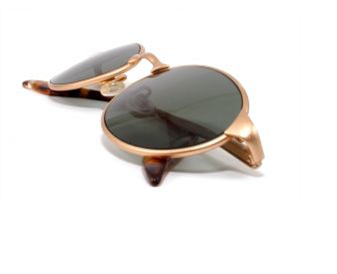 Of course, having style icons James Dean and Audrey Hepburn wearing these glasses helped the brand immensely. It was also during this decade that Ray-Ban released the Signet and the Caravan as well as its women's line. By 1969, Ray-Ban had expanded its product catalogue to 30 models, including those for men, women and children. It was during this decade that the brand released the Olympian I and II, Balorama, Meteor and the Laramie. Among the celebrities who were caught on and off screen wearing Ray-Ban eyewear were Bob Dylan, Clint Eastwood and Peter Fonda. For Ray Ban, the seventies were all about diversification. On one hand, the brand's sunglasses continued to remain essential fashion accessories. This was reinforced by the release of the Vagabond and the Stateside. On the other hand, the brand also made a foray into the world of sports, introducing glasses for mountaineering. Ray-Ban also expanded its product range further by introducing its optical range, throwing its hat into the world of prescription glasses. By the eighties, there was no questioning the brand's legacy which was further strengthened with Tom Cruise sporting an Aviator in the film “Top Gun” and Michael Jackson donning one when he appeared in the 1984 Grammys. For some, the nineties marked a new era for the brand as it was acquired by the Luxottica Group in 1999. But far from wavering, the brand gained a new sense of vitality with its iconic models taking centre stage as a new generation of consumers embraced the legendary eyewear brand.